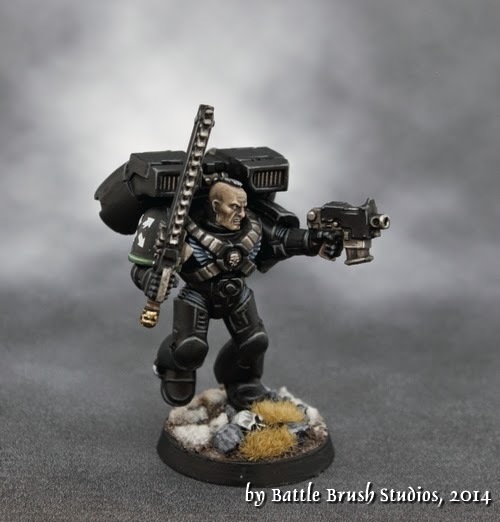 In between the Tau, I painted this Raven Guard Assault Marine and wrote up a Step-by-Step painting guide (not published yet!). So yeah, this one I painted for a painting guide that was commissioned by a long-standing client of Battle Brush Studios. Him and his pals are working on a very ambitious site called www.warhammer-40k-campaigns.com . If you're curious you definately should check them out on Facebook as well. They post original artwork all the time, some of which is based on models I painted for him which of course is double nice to see. The site should launch in a few months and the painting guide is one of the first things to be posted over there so don't miss out on this one! Hope you like the Marine. 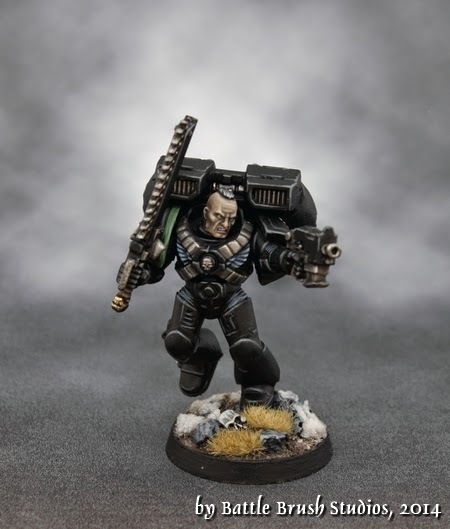 He certainly isn't the only Raven Guard guy I've been painting recently!